Diwali this year in Delhi was quieter than the last. A judicial order, banning the sale of firecrackers in the national capital, put the fear of spending festival night behind bars in those who sold the sparkly stuff for a living. Children were gulled into believing that the calamitous crackers would singularly destroy their learning skills. But no judiciary, school or glamorous green crusader have ever warned them of the dangers that fancy, high powered cars and the excessive use of electronic gadgets pose to their learning faculties as compared to 48 hours of celebratory noise and smoke just once a year. 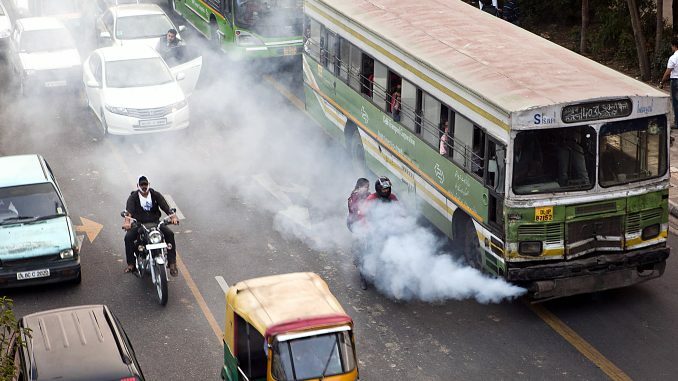 For two days before Diwali, Delhi’s roads had turned even more chaotic with traffic snarls, carbon fumes and the cacophony of blaring horns burning up O2. But this anarchy is alarmingly acceptable to dharna dilettantes, PIL panjandrums, candle marchers and foreign funded NGOs in India who have made it their mission to silence and subvert anything and everything connected to Indian culture by converting deities into devils and portraying respect for one’s heritage as a social crime. Why has the judiciary abstained from censuring and banning the horrendously harmful construction methods prevailing in the real estate sector, which has been destroying air quality in the NCR? Though the pollution level this Diwali was a few notches down, it was still higher than the annual count. Thank the countless cars that whizzed about, loaded with expensive gifts bound for the palatial bungalows of ministers and civil servants. Hundreds of cars parked outside many of Lutyens’ Delhi’s famous and desirable addresses gave the helpless traffic cops acidity. The endless stream of trucks, minivans and smoke spewing tri-wheeler goods carriers did not stop poisoning the atmosphere either. After all, to paraphrase George Orwell, two legs bad, four wheels good; since the automobile industry is considered a major contributor to India’s growth story. The purity of the environment is a major concern for the entire world. The US-led West is hypocritically pressuring developing economies to control polluting industries, while they themselves are unwilling to contain the high production volumes and mass consumption of their products in these markets. They have created an overseas bazaar for thermal power plants, automobiles, construction machinery, aircraft with expanding carbon footprints and obsolete equipment, which cannot be sold at home. But their hired megaphones are deflecting attention by damning practices and events, which relate to India’s rich heritage and religious beliefs as causes of environmental degradation. Bursting crackers during Diwali has been a part of Indian tradition for generations, celebrating the victory of good over evil. During festive season, the majority of Indians go on a cleaning spree of their homes and localities, sprucing up houses, repainting the walls and throwing out rotting junk that could cause diseases. In fact, Diwali is one of the most visible mass movements in India for a clean environment. Yet, three hours of bursting crackers, a celebratory, bonding event for family and friends has been demonised by cultural quislings insensitive to the institution of the family as an ecological danger. Hence, it is not unreasonable for traditionalists to assume that the cracker ban is aimed at erasing yet another unifying symbol of India’s glorious past. Their main grouse is that neither the government nor NGOs have ever opposed the setting up of more automobile units and power plants without safeguards in the country. For example, if one observes the lie of the land by looking down through the window of an airplane during a 150-minute flight from New Delhi to Chennai, the callousness of state governments is discernible. The earth below is slowly turning into a desert. There are fewer trees than there were 40 years ago. The impending environmental disaster from the massive rural marketing push to sell second-hand vehicles and fast-moving consumer products such as refrigerators are being ignored callously. So far, India’s vast hinterland has been free from the perils of the auto boom. But old vehicles, lacking pollution checks, will soon convert our verdant areas into volcanoes. Inefficient and corrupt traffic management compounds the problem. Unlike Singapore and some Western countries, the Indian government is least interested in curbing the reckless growth of the automobile sector. Despite every fourth citizen living below the poverty line, India is the fourth largest manufacturer of motor vehicles. Last year, a record 26 million motor vehicles, including four million passenger vehicles, were produced. Over 3.5 lakh cars are sold every month. The total number of registered motor vehicles in the country is 22 crores—one for every six Indians. In Delhi alone, over 10 million motor vehicles have been registered—one for every 1.25 persons. Environmental experts say, in the space of a minute, one motor vehicle consumes the same amount of oxygen 1,135 people spend in breathing. Another study found that motor “vehicles emit 60 tonne of particulate matter, 630 tonne of sulphur dioxide, 270 tonne of nitrogen oxide, and 2,040 tonne of carbon dioxide per day in India.” Firecrackers during Diwali all over the country do not cause even 1,000th the pollution vehicles spew out every month. Yet, India’s market reformers prefer to offer cheaper interest rates to car buyers and huge tax concessions to automobile manufacturers, whose vehicles cause crippling traffic jams in Indian cities. Vested interests and captive campaigners have turned India into the garbage bin of conscience and consciousness. The self-proclaimed green commandoes ignore the dumping of electronic waste that imperils the population—India being the world’s fifth largest e-waste generator. With the unprecedented push for Digital India gaining traction, the nation has not evolved a credible mechanism to dispose of the menace, which threatens to cripple the well-being of Indian children much more than a few seconds of noise of a firecracker exploding on a Diwali night. An ideal solution to minimise the threat to a clean and green India would be to promote Diwali as a global brand of the Indian identity—the incineration of evil and the sparkling celebration of a Happy, Healthy and Wealthy Bharatiya Parivar.